Dharamsala, March 20: Tibetan exiles in Dharamsala and elsewhere around the world on Sunday went to polls to elect a new prime minister and also the new members of their parliament in exile. In Dharamsala, the hill town in north India that serves as the base for Tibet’s government in exile, hundreds and thousands of Tibetans, including monks and nuns, lined up in almost 10 polling stations set up in and around the town to elect a new prime minister who is set to head the Tibetan Government-in-Exile. The elections have both political and emotional bearings on the Tibetan people after His Holiness the Dalai Lama, who is valued by Tibetans as their undisputed spiritual and political leader, announced a week ago his decision to formally devolve his political power to an elected leadership. Addressing a huge gathering of Tibetans here yesterday, the Dalai Lama publicly reiterated his determination to give up the political role in the Tibetan Government-in-Exile, and urged the Tibetans to wholeheartedly accept his decision. The Tibetan leader’s office also dispatched a letter to the Tibetan Parliament's ongoing session yesterday firmly rejecting a plea by the latter asking him to continue with his role as both the spiritual and temporal leader of the Tibetan people. In McLeod Ganj, the upper town in Dharamsala, an election officer today said the participation by Tibetans in today’s election was overwhelming and estimated that the voter turn could be much more higher than that of the preliminary rounds held in October last year. From the preliminary rounds, Dr Lobsang Sangay, 43, and Tenzin Namgyal Tethong, 62, have emerged as the favorites for the highest elected leadership post in Tibet’s government in exile. The third candidate in the fray is Kasur Tashi Wangdi, 64. Dr Lobsang Sangay won the preliminary rounds by a margin of more than 10,000 votes ahead of the next closest contestant out of a very small total voting population. Earlier this morning Sangay turned up at the polling station here at the main Tibetan Temple (Tsuglag Khang) to cast his vote. Speaking to media after casting his ballot, Sangay said regardless of whether he wins the elections or not, he, like all other Tibetans would still consider Dalai Lama his leader. A newly arrived Tibetan refugee, who is casting a vote “freely for the first time” in his life, said he felt extremely happy and proud to elect Tibetan leaders in a spirit of democracy and freedom. “In Tibet, Chinese government claim Tibetans have democratic rights, but in reality there is no freedom of choice and also there is no space to air one’s political views,” he said on condition of anonymity, expressing fear of reprisals on his family members who are still living inside Tibet. Although he understands Dalai Lama’s decision to relinquish his political role for the benefit of Tibetan people in the long run, he, however, fears it will take a long time before Tibetans in Tibet will accept it. Sunday’s elections will also decide the new lawmakers who will form a 44-member 15th Tibetan Parliament-in-Exile. Out of the 79,449 registered voters, little over 47,000 (approximately 61%) voted in the preliminary polls conducted on October 3. Following the preliminary elections, the Election Commission of the Central Tibetan Administration further extended the voter registration date to allow more eligible voters to take part in the final rounds of elections. 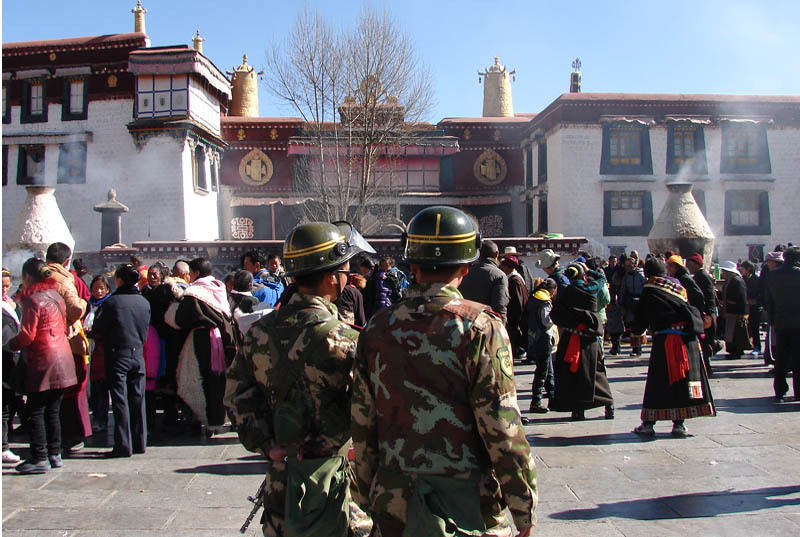 As result, the registered voter’s number increased to more than 82,000 for the 2011 Tibetan General Elections. Estimates show that some 90,000 of the approximately 150,000 Tibetan exiles worldwide are above the age of 18 and are eligible to vote. Speaking at a press conference here this afternoon, Chief Election Commissioner Mr Jamphel Choesang said Sunday's polls went smoothly without any untoward incidences at all the locations. Mr Choesang also said the final results of the elections would be declared on April 27, 2011. (TibetanReview.net, Mar04, 2011) China warned foreign journalists Mar 2 that they should obey restrictions on covering proposed jasmine rallies called by an online protest campaign or face possible loss of their permission to work in the country. The AFP and other news services Mar 2 and 3 said police in Beijing had requested meetings with foreign journalists in recent days, and had called in more than a dozen reporters on Mar 2 and 3 to inform them about the new restrictions. The report cited police as having told the reporters that failure to comply with the restrictions on reporting at proposed rally locations could impact future government approval for them to work in the country. AP Mar 3 cited the Foreign Correspondents' Club of China as saying in a statement that some journalists had reported having been accused by police "of trying to help stir up a revolution, disrupt harmony in China and simply cause trouble." And the www.csmonitor.com Mar 3 cited the Chinese government as having threatened foreign correspondents that their visas would be revoked if they continued to try to report on demonstrations held as part of a Chinese “Jasmine Revolution”. 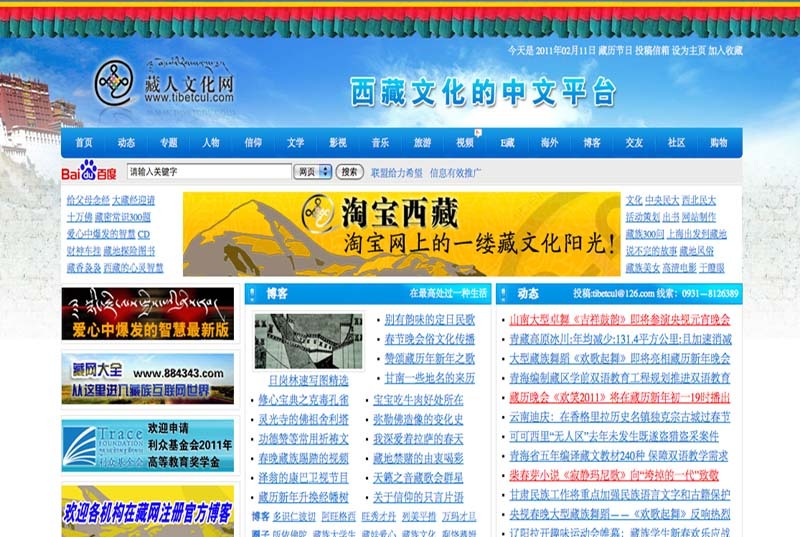 Likewise, www.voanews.com Mar 3 noticed that China was changing how foreign journalist could work in the country, with reporters being warned they risked expulsion if they tried to cover pro-democracy rallies. The report said foreign journalists had been given only vague instructions on how to obtain permission to report at demonstration sites in Beijing. It added that they had been told to apply for approval with police, but some had been refused permission even after applying, or told to submit further documentation. It added that in Shanghai, reporters had been told outright they could not report in the area near the Peace Cinema – the city's "Jasmine" site. In Beijing, several foreign journalists, including from the AFP, were said to have also reported attacks on their personal email accounts. Asked to explain the police actions, foreign ministry spokeswoman Ms Jiang Yu was reported to have told journalists Mar 1 they must "cooperate" with police and follow the rules. "Foreign journalists should respect and abide by China's laws and regulations... Beijing is a very big city with a large population. It is important to maintain normal order," Jiang was quoted as saying. Reuters Mar 3 noted that protests that had toppled authoritarian Arab governments had reinforced Chinese leaders' vigilance about defending one-party control, a priority since the Communist Party crushed pro-democracy protests in June 1989. It added that those official anxieties were sure to multiply as President Hu Jintao prepared to hand power to a successor in late 2012. The report said China was also locking down droves of people it feared could stir unrest during the annual parliament session beginning Mar 5. Bangalore, March 3 - Thirteen organizations based in the United Kingdom have issued a joint statement on the UK-China Human Rights Dialogue held on January 13 – 14. The organizations which include 6 Tibet related groups called for the UK government to review ways in which the dialogue can meaningfully make progress and sought the UK government’s attention to “deep-seated concerns held on the 19th round of annual UK-China Human Rights Dialogue. While lauding the UK government’s “very robust” approach to the recent uprisings in Egypt and Libya, Philippa Carrick, CEO of Tibet Society, one of the 13 signatories to the statement, said the UK government must not forget to scrutinize China’s human rights record and its adherence to internationally accepted human rights norms and its upholding of the rule of law. The rights groups said that the annual human rights dialogues have become an all-too familiar and empty ritual that ultimately are not resulting in positive change on the ground. “Worse, they can even be counter-productive in that they allow the Chinese government to claim an “achievement” on human rights when in fact no progress has been made,” the statement said. The groups said that the human rights situation in China and Tibet has actually deteriorated after a generation of economic development and numerous rounds of similar human rights dialogues with countries including the US, Canada, Australia and Japan, as well as with the EU. Despite millions of pounds of assistance to promote ‘rule of law’ in China, the Chinese government has engaged in a systematic attack on the rule of law and civil society by developing the world’s most sophisticated internet censorship system, intensifying religious repression particularly in Tibet and Xinjiang, and characterizing as “criminals” two prominent Nobel Peace Prize winners, the Dalai Lama and Liu Xiaobo, the groups further said in the statement. The groups recommended the government of UK hold transparent dialogue saying opacity in dialogue processes has enabled the Chinese authorities to misrepresent the process and to undermine essential follow-up of discussions that took place behind closed doors. “The dialogue should involve participation with expert NGOs and representatives from civil society and, ideally, also with representatives of the Tibetan and Uyghur communities in exile,” they wrote. The groups welcomed the UK government’s affirmation of the importance of dialogue between the Dalai Lama and the Chinese government but expressed disappointment at the Prime Minister David Cameron’s failure to strongly raise the coalition government’s position on the issue during his visit to China on 8-11 November 2010.